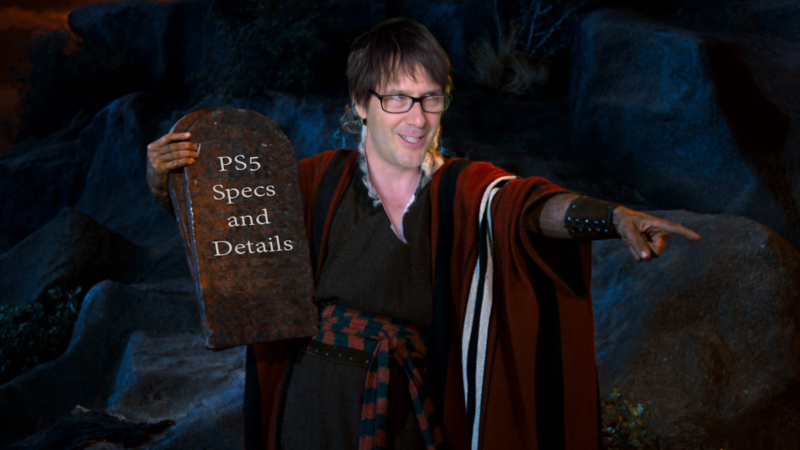 I don’t think anyone woke up this morning expecting to get a boatload of info about the PlayStation 5—or “next-gen console,” as system architect Mark Cerny called it repeatedly in his interview with a writer for Wired. For the sake of clarity and SEO, I’m just going to refer to it as the PS5, and I assume that Sony will too. Why change up a naming convention that works? But I’m getting ahead of myself. Nobody expected this. My Twitter timeline today was full of the exact same sentiment. “I didn’t expect to wake up to this,” and a link to the various articles that are now dissecting the Wired interview piece by piece. Don’t be fooled into thinking that Sony just dropped the PS5 reveal in a lackluster way. We’ve known for a while now that the company is hard at work on what comes next. Today’s “reveal” was about something other than a confirmation of the console. The headline of the Wired article says it all. “What to Expect From Sony’s Next-Gen PlayStation.” The information given today is all about setting expectations ahead of the leaks, speculation, rumors, and inevitably misleading headlines that would be sure to crop up as we get closer to the PS5’s actual release date. It’s a smart move on Sony’s part. It’s set the stage. We know that our PS4 libraries aren’t about to become obsolete. We know that our PSVR headsets will have a life beyond the current console. We know that Sony is working on ways to fundamentally change what a game can be, not just from a graphical perspective, but in what’s possible for a developer to achieve. It was also made clear that a 2019 release date is not in the cards, but already talking in such detail about it? We can pretty much bet that all of those 2020 rumors were right. (And I’d raise that bet and say it’s a first half the year release, with a reveal at the end of 2019). We also got our first look at the specs of the PS5, but for those interested in the numbers, there’s no full breakdown here. Again, this isn’t a full reveal. The CPU is a third generation AMD Ryzen with “eight cores of the company’s new 7nm Zen 2 microarchitecture.” The GPU is “a custom variant of Radeon’s Navi” that supports realtime ray tracing, something a console has never been able to do before. Ray tracing is the technology that maps a ray of light through an environment and how that light interacts with objects and textures, which can make environments and models feel far more realistic. The tech is currently only widely used in high-end processors and Hollywood effects. This is a small example of what ray tracing can do, courtesy of a Crytek demo on Radeon devices, the same family that the PS5 will use. The implications of ray tracing go far beyond just lighting in games. As the data is all digital, they can feasibly use it to map any rays through an environment, including sound waves. Cerny talked about how the PS5 will be improving on the audio experience with 3D audio, and used the word “presence.” I’d like to supplement that with the word “immersion.” Sure, it sounds like a buzzword, but it’s a word I can’t stop using to define PSVR experiences, especially to people who have never tried VR. It looks like Sony might be taking a page out of their VR playbook in order to design experiences on their next-gen console, whether players have a VR headset or not. Realism and immaculate audio are the keys to immersion. Backwards compatibility was loosely discussed and confirmed, as the PS5 runs on the same architecture. When asked about Death Stranding, Cerny gave a wry smile even as the rep confirmed that it is a PS4 release. My question is, if backwards compatibility is a thing and, as we’ve already proven with the PS4 Pro, they can “boost” a games graphics and performance, does Death Stranding actually need to be a cross-gen release? Do they need to have two separate skus, a PS4 version and a PS5 version? Or will they simply release Death Stranding with “PS5 supported” on the box (or perhaps the other way around, confirming it is supported by the older console)? Backwards compatibility renders the need for cross-gen releases almost obsolete between the PS4 and PS5, as all late generation games should be playable on the new console. And finally we have the hard drive, which Sony understands needs to be a solid state drive in order to reduce loading times that have started to get increasingly lengthy. The SSD onboard the PS5 is a specialized SSD (“Cerny claims that it has a raw bandwidth higher than any SSD available for PCs”) that doesn’t just offer an incremental improvement, but a dramatic shift in what we’re used to. Cerny did a fast travel loading time test (using Marvel’s Spider-Man), and the load time dropped from 15 seconds on a PS4 Pro to just 0.8 seconds on the PS5 dev kit. And apparently, the dev kit used was an “early low-speed” version, so it’s quite possible there will be improvements beyond that. The goal is to make a PlayStation with no loading times. Cerny also showed off an example of how quickly a world can be rendered in a game, which is also a side effect of load times. If you’ve ever thought that Spidey was a touch slower than you’d like in Marvel’s Spider-Man, it’s simply because that’s the fastest that the console can render the environment. To go any faster would introduce object and texture pop-in and other issues. 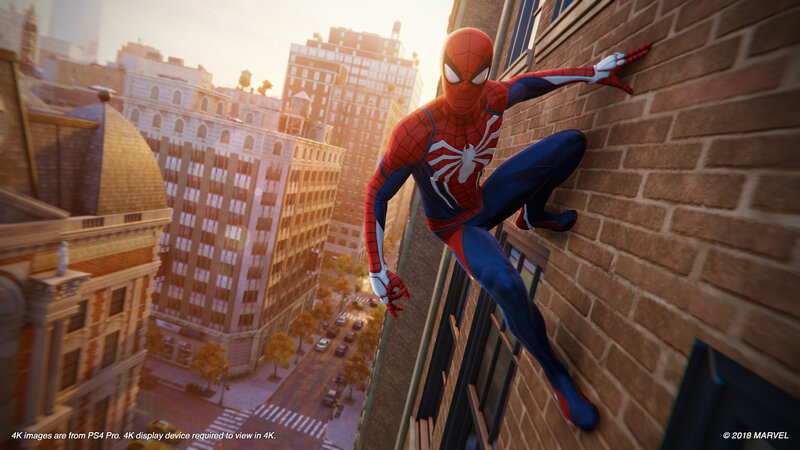 “No matter how powered up you get as Spider-Man, you can never go any faster than this,” Cerny says, “because that’s simply how fast we can get the data off the hard drive.” On the PS5 dev kit, Cerny was able to move the camera “uptown like it’s mounted to a fighter jet,” pausing occasionally to show that graphical fidelity remained no matter how quickly he moved through the world. Of course, this is just the latest in all of the next-gen talk as we get a look—albeit broadly—at Sony’s strategy in the coming years. This is them getting out in time to be a part of the conversation alongside the all-streaming Google Stadia platform, and the all-digital Xbox One, as both the newcomer and industry staple focus a lot more on cloud services and digital platforms rather than the physical box itself. Sony’s already setting the stage to say that their box will be able to do incredible things that are simply not possible with a streaming service. And don’t forget that it will be able to do those things offline, as the hardware is right in your house. Don’t think Sony is going to ditch the whole cloud gaming thing. PlayStation Now has been a relative success for the company, and according to Cerny, they consider themselves “cloud-gaming pioneers.” Given that it was one of the first companies to get onboard with the likes of Gaikai, it definitely has a history there. Cerny made it clear to Wired that they aren’t ready to talk services or additional features. But that’s fine. We don’t need to know that yet. Sony’s incredibly smart exclusive PS5 “reveal” with a trusted publication like Wired puts them ahead of the curve. It gets out ahead of the rumor mill and all of the misleading and false headlines that might cloud communication about what it wants to do with its next-gen console. It was all about setting expectations in order to avoid wild speculation. However, putting us on a drip feed of official information like this only makes us hungry for more, and I imagine that Sony knows that. It also knows that you can’t string consumers along for an overly long time, so I don’t expect this is the last we’ll hear about the PS5 this year. In fact, giving us as many details as we have right now has me anticipating—perhaps a little optimistically—that we’ll see the full reveal of the console late this year, with a release in the first half of 2020. This also matches up with Sony skipping E3 this year. If they are just going to showcase the PS5 in the latter half of 2019, why waste time and money at E3? I don’t see us being forced to wait another full year and a half for the “next-gen console” that Cerny was talking about to be publicly available. It’s simply too long of a wait. Then again, that may just be an overeager me wanting it right now. At any rate, we now know a whole lot more about the next PlayStation than we did 24 hours ago. This is how it starts. While Sony may not have officially name it yet, it’s set up expectations for a highly anticipated console. We’re in the endgame now. Daily Reaction reacts daily to the video game industry. Have suggestions for the column or subjects you’d like us to react to? Let me know in the comments below and be sure to check out previous Daily Reactions for more dives beyond the headlines.